To begin with, I should say that I really love selling properties in Breckenridge, CO. There are so many unique styles and neighborhoods that give this town a distinct and vibrant feel. With all of the numerous styles, you can choose from a large variety of homes, including log and timber ski-in-ski-out houses, cozy chalets and even charming A-frames. When attractive properties come on the market in Breckenridge, I always tell my clients we’ll do some digging before they go out for a viewing. Through a careful evaluation, we can find out a lot about a listing’s history. If it’s a flipped home, you may be getting a great deal, but there is also a chance that the property is a real lemon. In this blog, I’ll give you some tips to keep in mind so you know what to look for if you’re interested in a flipped home in Breckenridge. As your Realtor, I want to make sure you always make a wise purchase. 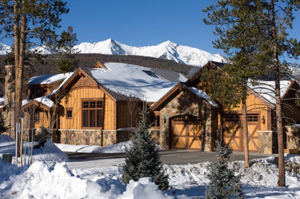 So you’ve found a Breckenridge property that looks appealing. Before going any further, we always want to make sure we have all the facts. This means finding out how often the property has been sold. Also, it’s crucial to discover if there were any quick sales with a big increase in purchase price. A home that previously sold on the low end of market value and then got resold 6 months later at a much higher price could qualify as a flip. In addition, it’s quite possible the sellers have flipped other homes in the past. Therefore, they’ve got a track record. This is important because you can ask former buyers about the quality of their homes and if they ever experienced any hidden issues. If the home is old on the outside, but has a new inside, this could be a significant clue that it’s a flipped property. In some instances, the owners try to sell as soon as possible before they’ve finished the updating process. Consequently, there may be a new washer and dryer, for example, but the floors might need refinishing or replacing. In these kinds of circumstances, the owner might offer a stipend to interested buyers, where they can choose what they want for the completed renovation. While this could be a nice way for the new owners to add a personal touch to their place, these allowances may only cover the least costly materials. Therefore, it’s critical to look into the stipend and research what it can buy before making any agreements with the seller. Any renovations that go beyond fresh paint or new wallpaper usually require permits. As a result, if the listing says “all new,” but there’s no evidence of actual permits, this could be a red flag. You want to make sure every kind of more complex remodeling was done by professionals. For example, if a basement was finished without a permit, look at the electrical panel to make sure the wiring is clipped and neat, not messy. If a house flipper is going to cut corners, they will probably try to hide the mistakes behind the walls. Also, examine places in the home where unfinished space meets completed areas such as basements, closets and under cabinets. The goal is to find good workmanship that looks tidy and handled by experts. Afterwards, compare the list of permits to the work that’s been completed by the pros. If permits don’t exist or match up correctly, you may have a property that does not meet code. In addition to serious safety concerns, you might find it difficult to get insurance or financing. Want to Know More About Flipped Properties in Breckenridge? As you can see, it takes a trained eye to spot a flipped property, and to consider the costs of making it right for you and your family, but we’re here to help every step of the way. If you have questions as you begin your search, feel free to reach out, and if you’re ready to start looking at homes or condos in Breckenridge, I can put together a list of potential properties. Many clients start out by browsing the MLS listings on my website and getting in touch when they’re ready to set up viewings. When you’re ready to talk through your options or schedule showings, contact me at any time via email ([email protected]) or call my office line. I look forward to working with you!